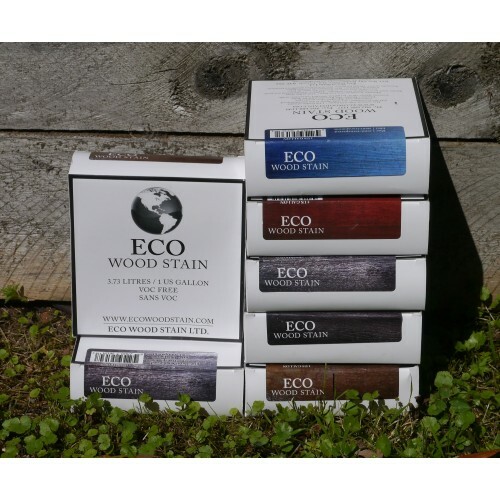 Eco Wood Stain is a once only, low toxicity, coloured, water based timber stain and preservative in concentrate form for use on previously untreated solid timbers. 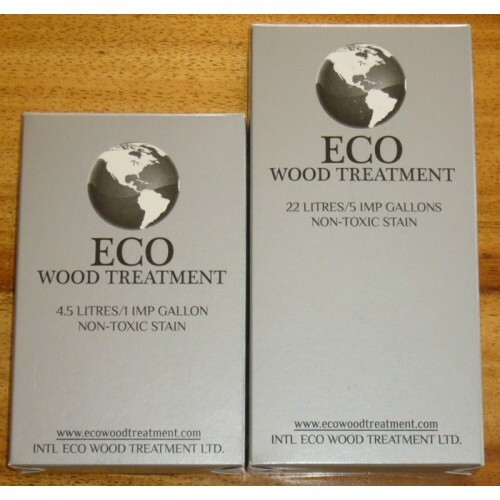 One pack comprises a satchet of 'original' Eco Wood Treatment together with a bottle liquid tinter sufficient to mix with 3.7 litres (1 US gallon) of water. Coverage is approximately 12 - 14 square metres dependent on moisture content of wood and application method used. Full product information here. Suitable for interior or exterior use (not recommended for decking). Great as an accent on trims, fascia and barge boards when Eco Wood Treatment is used on sidings.